On the plus side, my living room has never had so much light. It’s kind of nice being able to fully illuminate the room if needed. I added two 1600 lumen LED lights to my living room along with a fancy smart switch, which is all pretty cool. I’m a little disappointed I had to add another hub to my smart home and create another account with another company, but c’est la vie. This is of course why I have my IoT LAN which is cut off from the outside world. I do wish more IoT hardware was local by default. me: Online backup is the greatest thing since sliced bread and will literally save your life. You should _never_ be without a current online backup. I&apos;m revisiting some AppleScript I wrote two years ago that&apos;s used an an application and I know so much more about the features of the language. I just replaced two nested repeat loops with a single line of code. Good News Everybody! I got the alias to work. Dealing with file paths in AppleScript is the bane of my existence. Casting to and from POSIX and alias never works correctly. I&apos;ve been poking around the NetNewsWire code today and I&apos;m both amazed at how complex it as and also how clean it is. Makes me want to go clean up a bunch of my own code. The OwnCloud iOS app has been giving me a bunch of trouble (read: it kind of just doesn’t work). I’m considering migrating to NextCloud. I know I’ve seen it mentioned around these parts. How does everyone like it? 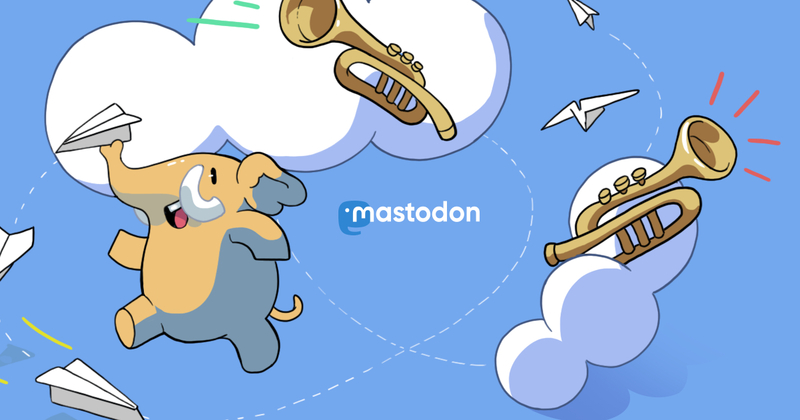 I had a dream last night where I was writing a Capture One plugin to post images to Mastodon. I got fairly deep into the implementation details, like how best to handle text and adding content warnings. One of the little things I miss from Tweetbot is timeline syncing. It would be great to see it as an app feature, but even better as a part of the actual Mastodon spec. I really wish iOS had a Control Center widget for enabling a VPN connection. Round tripping to Settings is kind of annoying. I’m not looking forward to having to clean up the detritus from my various projects that’s scattered all around the house before my roommates get back on Saturday. On the other hand I’m looking forward to having an organized house again. I’m going to have to take everything apart again so I can stain the shelves, but that’s a project for next weekend. Looks like this is my error. I’d somehow forgotten it’s Files now and iCloud Drive is the legacy version.